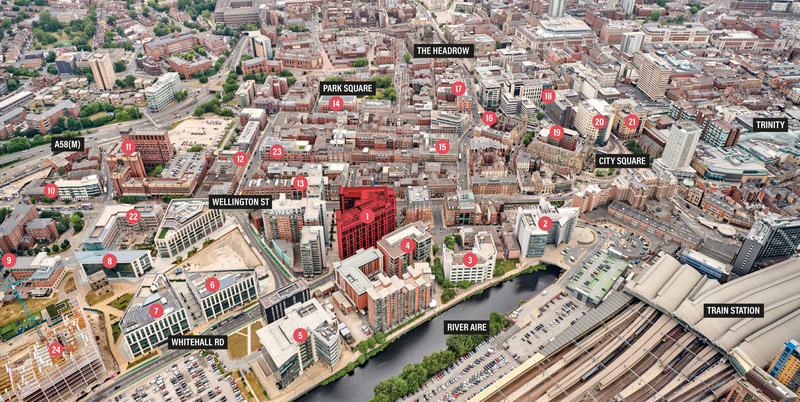 With a thriving mix of blue chip organisations, local independent businesses, a range of premium and high street retailers and a bustling nightlife, Leeds is an established yet continually developing business hub. RBS Group. BPP Law. NHS. Ward Hadaway. Ministry of Justice. Willis. Towers Watson. Squire Patton Boggs. Equifax. Sky Bet. Just a two minute walk from Leeds Train Station.